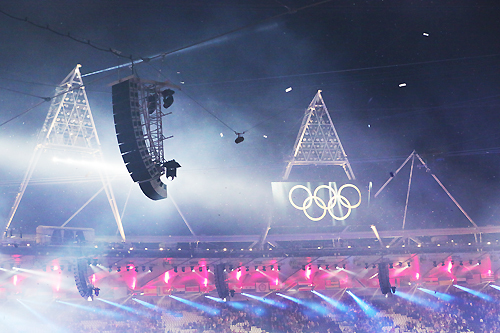 The sound system at the London 2012 Olympics Games was possibly the biggest and best sound system ever used. The stadium was configured with numerous arrays and ground stack consisting L-Acoustics cabinets. The shear number of loudspeakers used and work involved was phenomenal.